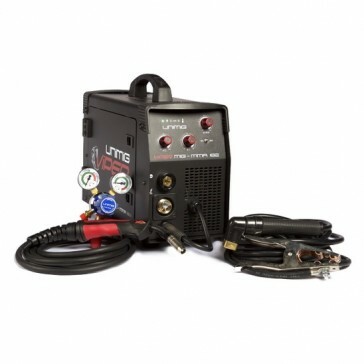 Have you ever wanted wanted to be able to plug a semi-industrial Powered MIG welder straight into a standard 10amp power point? Well here's your answer. 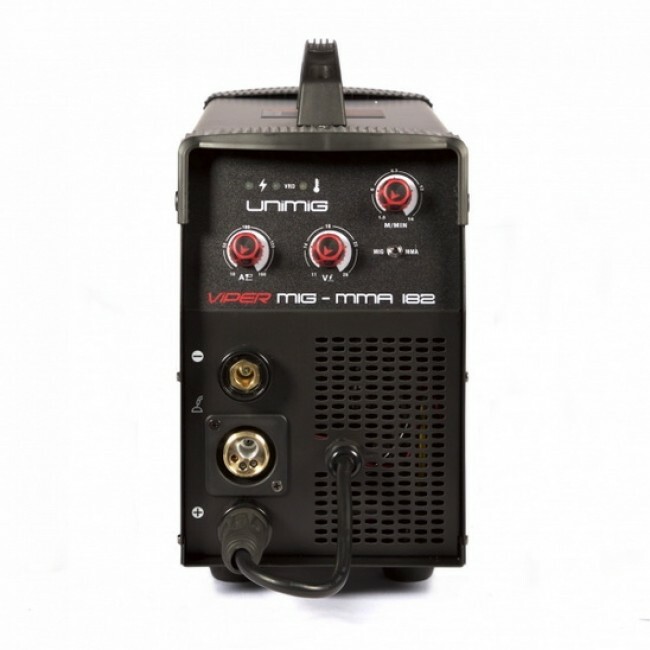 The UniMig Viper 182 MIG/MMA is one of the most powerful MIG welders in Australia to be legally fitted with a 10amp plug. 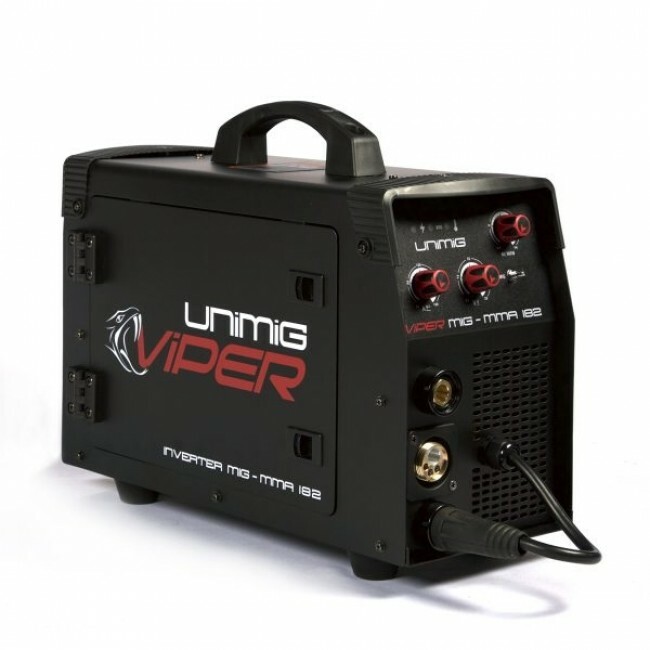 The Viper MIG has added MMA (Arc) function, uses Jasic's renowned inverter technology and is extremely competitively priced making it ideal for the serious do-it-yourself (DIY) user or tradesman. 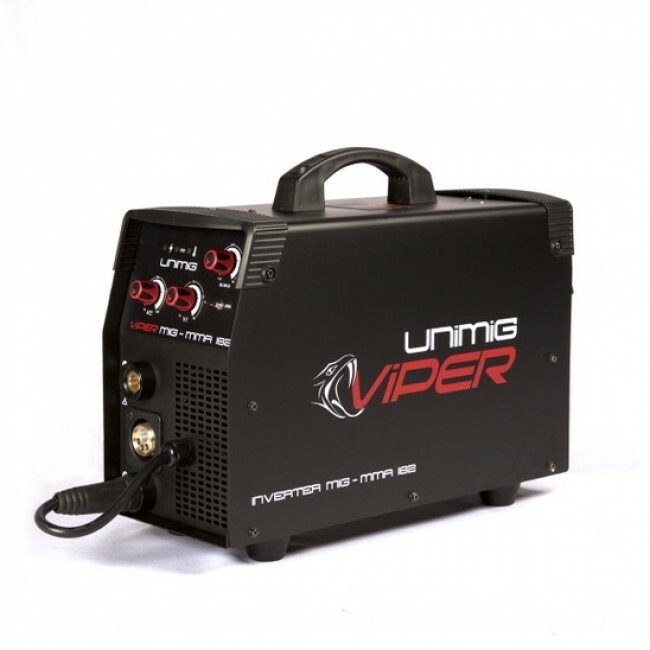 UniMig's team has acknowledged to the market's demand for powerful light weight and affordable MIG machine capable of being plugged into a standard domestic power point, and the Viper is their response. This machine features stepless voltage adjustment and has a maximum output of 180 amps. It comes with a high quality SB15 3 metre MIG Torch and a 3 metre Arc Welding lead set, along with a Twin Gauge Argon Regulator, 2 metre Gas Hose and fittings. The machine is capable of producing scratch start (Hobby) TIG Welds with the purchase of 17v TIG Torch. In MIG the machine runs 5kg spools and is capable of running 0.6-0.8mm Gas Shielded and Gasless Wires (a knurled drive roller for flux cored wire can be purchased separately). It also has Wire Inch, Burnback and Thermal Overload Protection. It features a stable inverter Arc and high quality four-wheel drive roller ensuring consistent wire feed. At just 13.5kg it is extremely portable and is suited to DIY, home workshop and trade use.